Foams 4 Sports are a supplier and manufacturer of high quality foam training aids, gymnastics mats and foam padded equipment in the UK. With the Promat™ range manufactured in Greater Manchester, Foams 4 Sports can provide a variety of sports mats and foam sports equipment to suit a range of sports. 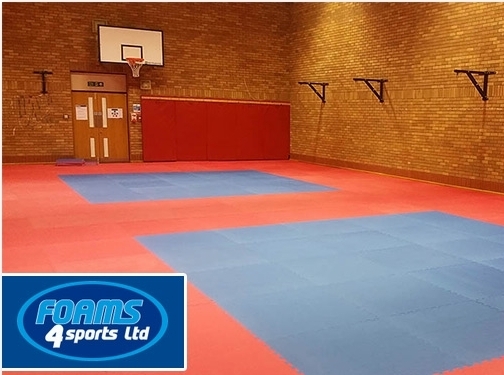 From jigsaw mats for martial arts to parkour training equipment, pole mats to rugby post padding, Foams 4 Sports can supply foam products to create a safer training environment for your classes. UK (Ashton-Under-Lyne, Lancashire) based business providing foam padded equipment for sports environments. Website includes e-commerce facilities, delivery and returns information (via terms and conditions), case studies (via news section), certifications gained, associations, full contact details.